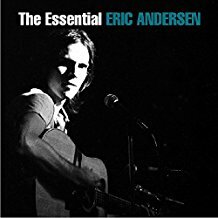 Eric Anderson has just turned 75 and in celebration of this milestone, he has released the 2-disc, 33 track CD titled The Essential Eric Anderson. Anderson was an original member of the Greenwich Village folk revival movement of the 1960’s. While not as well-know as some of his contemporaries, his songs have been covered by the cream of American music including Bob Dylan, Johnny Cash, Pete Seeger, The Grateful Dead, Linda Ronstadt, and Mary Chapin Carpenter. Anderson is a folk singer and songwriter deluxe who has that rare ability of putting his thoughts and visions to music. Always living and performing as a member of the American counter-culture, his lyrics have recorded and challenged American life and culture for the past half-century. His latest release is drawn from all phases of his 45 year recording career. Included are tracks from his long lost Stages album, which was recorded in 1973 but whose master tapes inexplicably disappeared for nearly 20 years. Live versions, recorded at The Bitter End, of “Violets Of Dawn” and “Thirsty Boots” highlight the album. Add in “Everything Ain’t Been Said,” “Come To My Bedside, My Darlin,'” “Trouble In Paris,” “Come Runnin’ Like A Friend,” “Listen To The Rain,” ” I Shall Be Unbounded,” and “Ghosts Upon The Road” and you have a nice taste of his style and of American folk music. Andersen engaged in a number of duets and many voices are resurrected from the great beyond. “Turn Like A Freight Train” with Dan Fogelberg, “Keep This Love Alive” (Rick Danko), “You Can’t Relieve The Past” (Lou Reed), and “Plains Of Nebrasky-O (Phil Ochs), open up time periods long past. 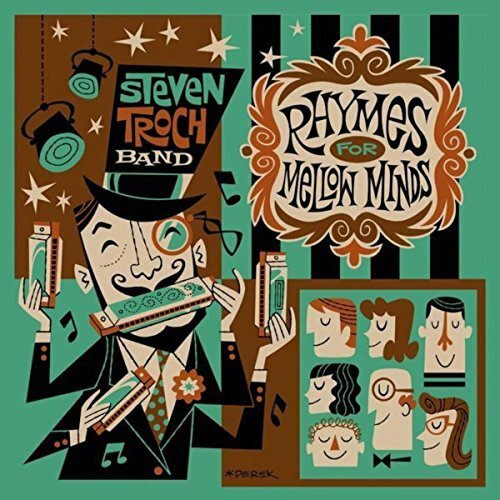 The likes of Richard Thompson, David Bromberg, Joni Mitchell, Maria Muldaur, and Joan Baez also make appearances. Extensive liner notes by New York Times writer and Lou Reed biographer Anthony DeCurtis plus Anderson himself are included. Eric Andersen’s ballads are some of the best folk music of the last 50 years. They are also a history of our nation in song. A true essential listening experience for any follower of folk music and its history. Jim McCarty is a bona-fide member of The Rock And Roll Hall Of Fame. He is a founding member of the Yardbirds and the only original member left in the band. In addition to the Yardbirds, he has been a member of Renaissance, Shoot, Box Of Frogs, Stairway, Illusion, and the McCarty-Topsham Band. He has now surfaced with his third solo album titled Walking In The Wild Land. His new album is very different from the classic rock sound of the Yardbirds. It is more folk oriented and has a mellow, laid back vibe. In many ways his solo albums allow him to explore a different side of his personality. 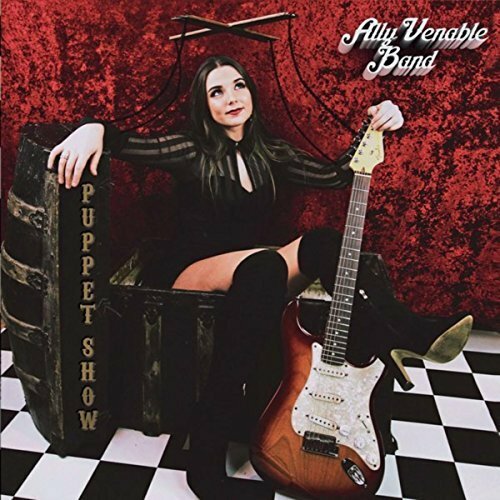 While he has always been somewhat in the background as a drummer; now he is the front person and focal point as the acoustic guitarist and vocalist. He also composed the album’s dozen tracks. McCarty wisely does not over-reach but keeps it simple. He may not have the expertise or style of the Yardbirds more celebrated guitarists, but he is an adequate strummer who is able to accompany himself and bring his music to life. The tracks run from the melancholy “Changing Times” to the reflective title track and “Stop Living In The Past.” It may not be the most exciting album released this year bit it is relaxing and like a visit from an old friend. 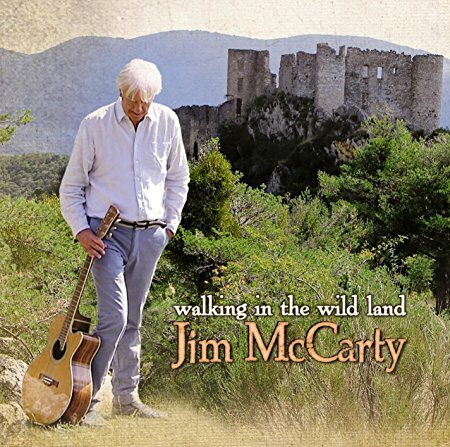 Walking In The Wild Land finds a music veteran taking a road less traveled. A good listen for the quiet times of life. Ain’t no Reverend like the Reverend Freakchild. 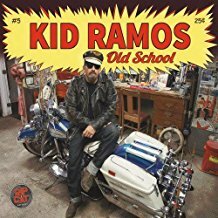 The good Reverend has returned with another album of the blues from his own, somewhat warped and irreverent, perspective. I don’t know if there is such a term as psychedelic blues, but his new release, Dial It In, would fit that approach. The only thing traditional about his new album is his use of a number of mainstream musicians on a number of tracks. Guitarist Mark Karan (Bob Weir), harmonica player Garrett Dutton (G Love and Special Sauce), pianist Brian Mitchell (BB King), and saxophonist Jay Collins (Greg Allman) all bring a little sanity to the good Reverend’s vision of music. While Freakchild may travel a different path; he is grounded in the blues. The three cover tunes all move in different directions. Dylan’s “It’s Alright Ma (I’m Only Bleeding)” is a fusion of jazz and blues. Depeche Mode’s “Personal Jesus (On The Mainline)” is stripped to basics and re-emerges as a stark blues tune. “Soul Of A Man” is a rare emotional moment from the Reverend as he pays homage to the bluesman , Blind Willie Johnson. “Opus Earth” and “Opus Space,” which bookend the album combine with “Roadtrance,” “Damaged Souls,” and “15 Going On 50” to present his own eclectic view of the world around him. 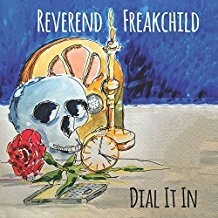 Dial It In and Reverend Freakchild requires some getting used too but his passion for the blues shines through. It may not be music for everyone but if you want a different experience, then this may be an album to try.